Construction project management involves groups of people representing different disciplines, from project managers, contract managers, and division managers to subcontractors, architects, engineers, suppliers, and owners—all trying to collaborate on a multitude of issues and changes while juggling multiple documents and contracts. Controlling your construction project's plan, budget, forecast costs, and deliverables is vital to the success of your projects and the future of your business. 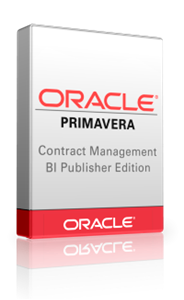 Oracle Primavera Contract Management enables you to take on more projects without compromising progress or quality. Its job cost management, comprehensive change management, and powerful reporting enable you to respond rapidly while providing an accurate history of events in case a claim should arise. Its collaborative platform makes it easy to respond to questions, issues, changes and daily events. Project team members have instant and easy access to the latest, most accurate project information including drawings, RFIs, and approved changes.